Seth Rich, a Democratic National Committee (DNC) staffer, was murdered July 10, 2016. Within days, initially at the behest of anonymous users on Reddit and 4chan, his murder would be used as the basis for a massive right-wing conspiracy theory, with the eventual purpose of undermining and discrediting the notion that Russia illicitly interfered in the 2016 presidential election in part by hacking DNC, DCCC, and John Podesta emails that WikiLeaks later published. 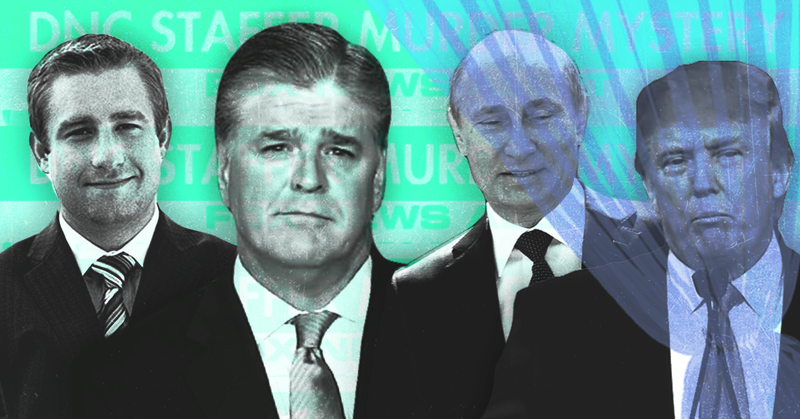 And no one has done more to push this conspiracy theory than Fox News host Sean Hannity -- even after Fox News retracted a story about it that was published on its website. Hannity had long dabbled in conspiracy theories about Seth Rich’s murder, but he went into overdrive when, on May 15, Fox 5 DC and FoxNews.com ran stories linking Rich to WikiLeaks based largely on the statements of then-Fox News contributor Rod Wheeler. This was just days after former Director of National Intelligence James Clapper and former acting Attorney General Sally Yates testified to Congress about Russian interference. In the week after that story was published (and quickly fell apart), Hannity repeatedly pushed the conspiracy theory on his television show, his radio show, and his Twitter account. Rich was referenced numerous times on his Fox News television show, and the story was hinted at in countless others. 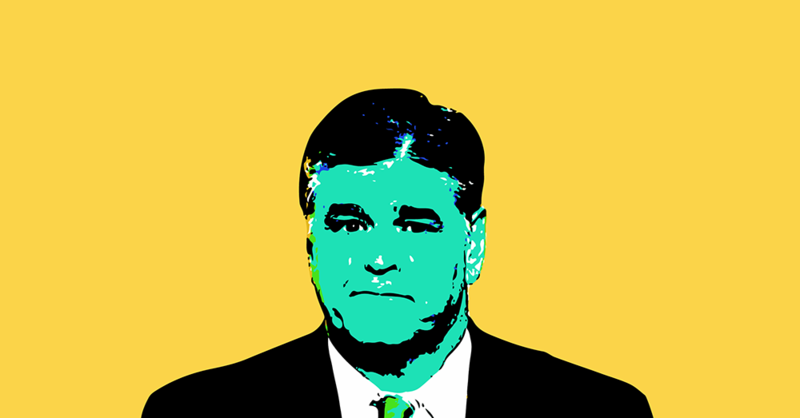 Hannity’s coverage was so relentless that he was condemned by some of his coworkers, who reportedly told The Daily Beast that the host was “‘embarrassing’ the network, and the promotion of the Rich conspiracy theory is senselessly cruel to a grieving family.” Rich’s brother personally asked Hannity to stop pushing the conspiracy theories. All this unfolded in the public sphere and proves Sean Hannity’s volatility. And look: Sean Hannity has long been a serial misinformer who has pushed lies and dishonest smears. He has been completely shameless in shilling for the far-right. Hannity has toyed around with basically every conspiracy theory that the far-right has proffered. But now we have evidence that the deceit goes even deeper. And while Hannity is not named as a defendant, his story is inseparable from the story at hand. We know that political operative Ed Butowsky played a key role in the retracted Fox story that set Hannity off on his conspiracy crusade in May. According to a lawsuit filed by Wheeler -- the Fox News contributor who served as a key source for the claims connecting Wikileaks to Rich in the May 15 Fox story -- that story was the product of a cynical attempt by Ed Butowsky, Fox News, and the White House “to deflect public attention from growing concern about the administration's ties to the Russian government.” And once that story was published, Hannity was its chief promoter. We know that Butowsky coordinated for him and Wheeler to meet then-press secretary Sean Spicer in the White House. We know that Butowsky sent talking points to Fox News hosts and producers detailing how to talk about the conspiracy theory in a way that undermined the reporting from credible outlets about Russian interference in the election. We know that in the days after Butowsky sent that message, his words were repeated once on Fox & Friends and multiple times on Hannity. Journalism, regardless of its political consequences, deserves extensive protection from financial retaliation. Propaganda does not. And Sean Hannity is a rank propagandist. As Angelo Carusone wrote, if Fox News executives choose to not do the right thing and fire Sean Hannity, the obligation is on sponsors and the people at large to force their hand.